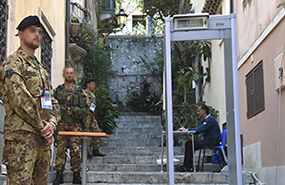 Today`s security sector and the ever-stricter regulations relating to Metal Detectors for inspecting people in transit require equipment with the highest operational and functional performance. 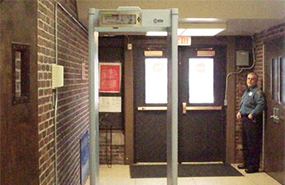 With over 50 years of experience in designing and manufacturing Metal Detectors, CEIA has developed a series of devices with superior sensitivity and throughput. In high-sensitivity applications, CEIA can detect small metallic objects, such as a single razor blade while still providing optimal immunity to environmental interference. 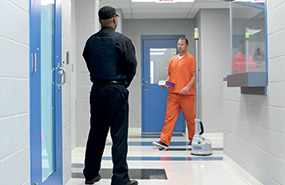 For high flow-rate applications, CEIA offers Walk-Through Metal Detectors with extremely high discrimination of personal metal objects to minimize the incidence of nuisance alarms. CEIA is a manufacturing company specialized in the design, engineering and production of Metal Detectors and Electromagnetic Inspection Devices. 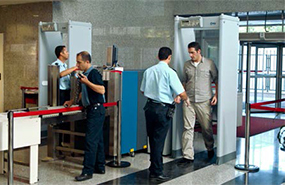 The preference given to CEIA Metal Detectors by top public and private bodies confirms its position as the market leader in airport security. Quick, accurate analysis of all parts of the body of people in transit. 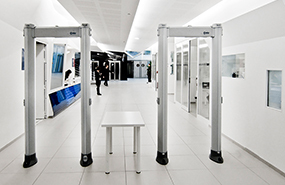 The CEIA Metal Detectors fully comply with the requirements of the NIJ0601.02 Standard for all Security Levels, and can therefore be applied in situations from the inspection of visitors to that of inmates in top-security checkpoints, even in areas with strong electrical and mechanical interferences. 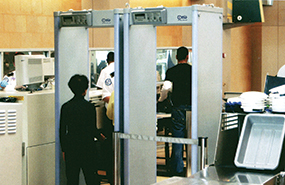 Sophisticated threat detection and high passenger flow rates today require Enhanced Metal Detectors (EMD). Optimized solutions to detect and deter metal product theft, discovers small metal masses anywhere on and in the body while discriminating non-removable metal. 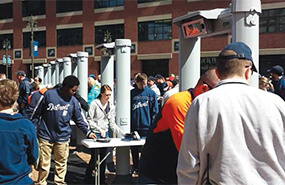 The considerable task of planning a major security event requires the most reliable metal detectors for security checkpoint installations. Electromagnetic inspection is the most suitable and quickest method for checking non-metallic cargo. MSD EVO, the latest CEIA Ferromagnetic Detector (FMD), with outstanding capabilities in security pass-through applications defined by multiple ferromagnetic poles. Sep 25, 2018CEIA USA showcases the new CEIA SMD600 PLUS–MI2™ Multi-Sensor Walk-Through Metal Detector at GSX 2018. Provides simultaneous detection of all metal firearms and cellphone/smartphone devices.